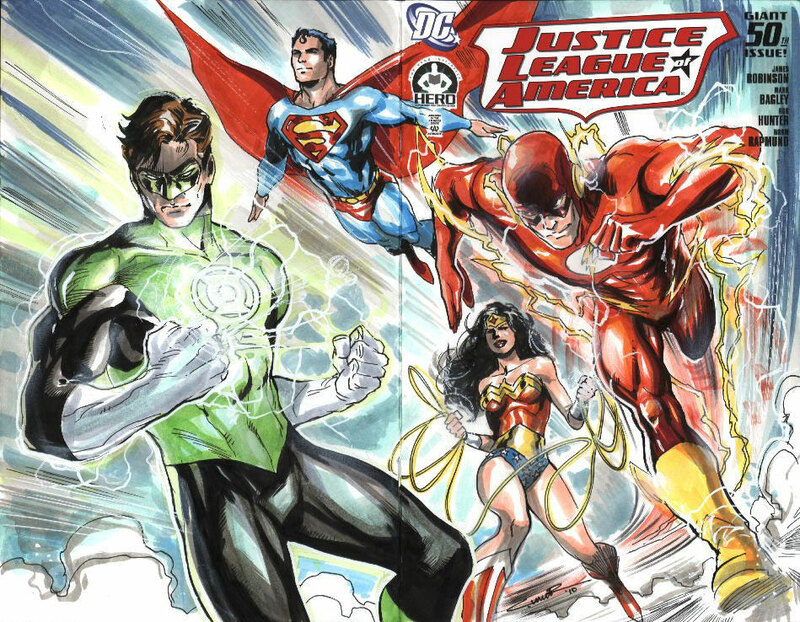 The Hero Initiative, a charity dedicated to helping comic creators in medical or financial need, recently partnered with DC Comics on a new Justice League of America project. 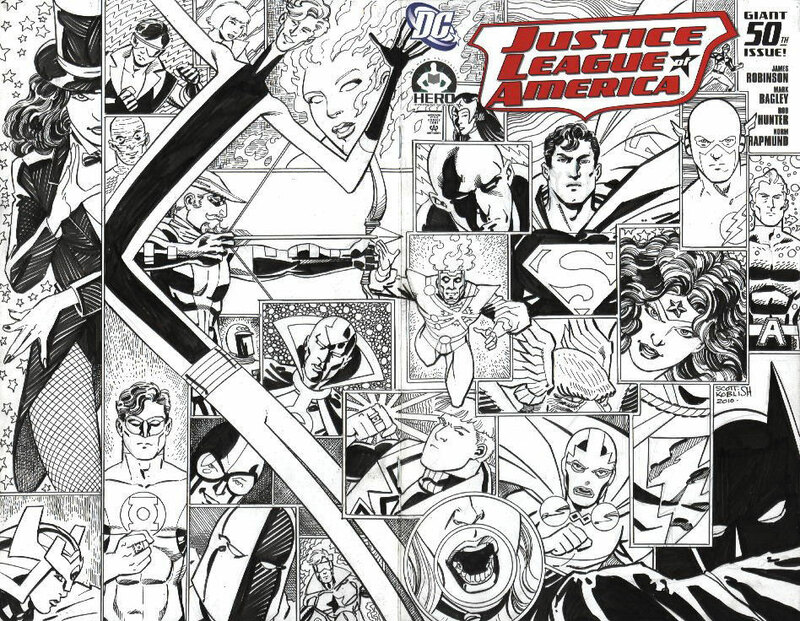 Dozens of artists were asked to create their own covers for Justice League of America #50 using 100 blank-covered cardstock copies of the book. Several Firestorm artists (current and past) were involved in the project, including: Yildiray Cinar, Norm Rapmund, Al Milgrom, Tom Mandrake, Jamal Igle, and George Perez. 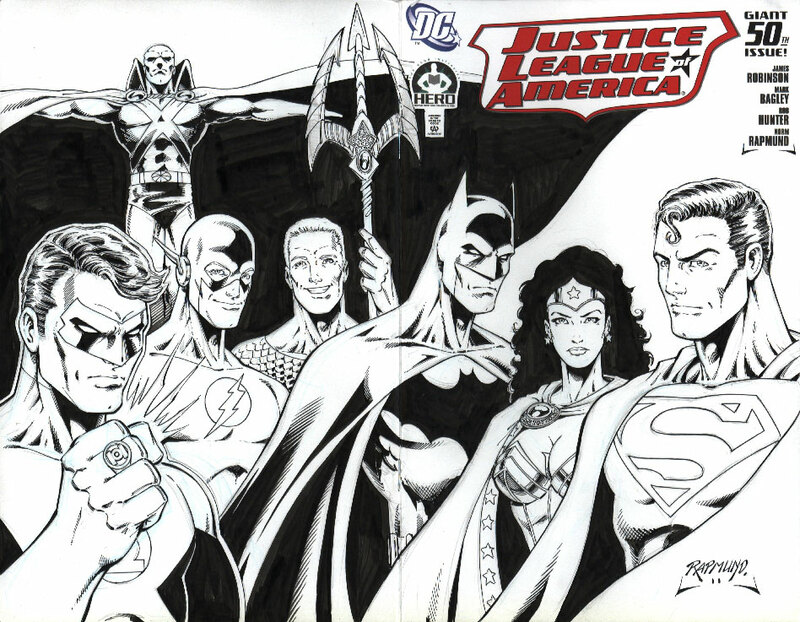 Other artists that participated included: Jim Lee, Alex Ross, Walt Simonson, Alan Davis, Fred Hembeck, and many others. Below is a cover by Firestorm co-creator Al Milgrom! This is one of the few covers to feature Firestorm. Click the cover to enlarge. Below is a cover by Scott Koblish (inker of O.M.A.C.). Not only does the cover include Firestorm, but also Aquaman, Doctor Fate, Flash, Vibe, and so many other favorites! I couldn’t resist posting it! Click the cover to enlarge. Below is a cover by current Firestorm artist Yildiray Cinar! It doesn’t include Firestorm, but it’s gorgeous! Click the cover to enlarge. Finally, below is a cover by future Firestorm inker Norm Rapmund! Again, no Firestorm, but beautiful line work! Click the cover to enlarge. 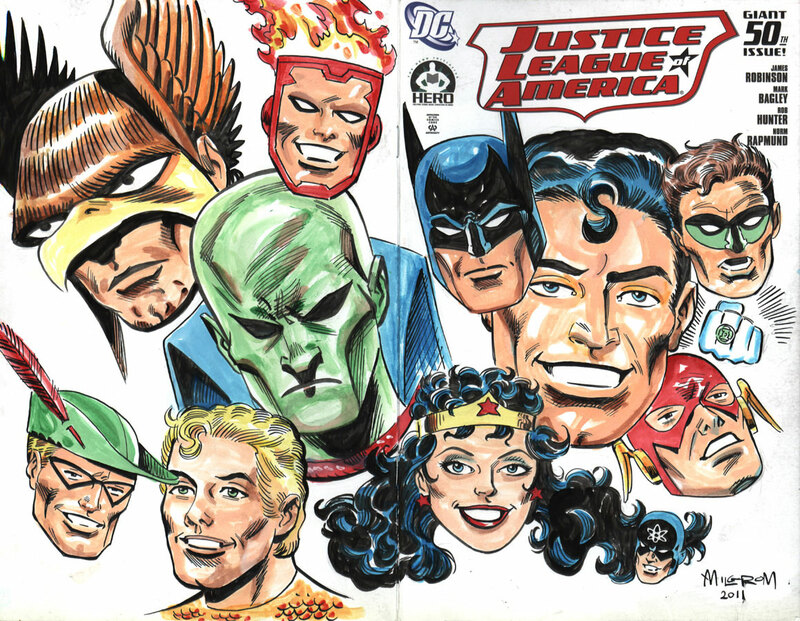 To check out all 104 covers to Justice League of America #50, please visit the Hero Initiative website. Special thanks to our buddy liquidcross (of The Indigo Tribe and Text and Violence) for the heads-up on these covers! Thanks, liquidcross! Support Firestorm (and the Hero Initiative)! Fan the flame! Posted in: Al Milgrom, Comic books, Justice League of America, Norm Rapmund, Yildiray Cinar. Wonder Woman looks stoned in that Milgrom cover. The Scott Koblish cover is insane! Love it! I didn’t realize that there was an online resource collecting all those covers. Sorting them out for posting should take me a good long while!